With the Nest Hello you'll always be able to see exactly who is at your door, even when you're lying on the couch or on the go. The Google Home Hub and Google Home Mini let you control your smart home devices using your voice, stream music, and much more. Anyone who wants to secure their home and expand their smart home repertoire need look no further than this Nest Hello and Google bundle. The Nest Hello video doorbell brings comfort and security to you and your family by letting you see what's happening at your front door. Placing the Google Home Hub and Google Home Mini in separate rooms means the Google Assistant is always within earshot, making it easy for you to control your smart home devices with your voice from anywhere in your home. Stream live video from the Nest Hello: Tune in anytime to the video doorbell's live stream to see what's happening on your doorstep. You can stream live video to the Google Home Hub's touchscreen interface when you're home, or watch it on your smartphone when you're on the go. Sound and motion notifications: The Nest Hello sends push notifications to your smartphone when it detects motion or sound - even when nobody rings. Voice control: With two Google Assistant access points you'll be able to use your voice to control smart home devices from multiple locations in your home. Music Streaming: The Google Home Hub and Google Home Mini are small, but each boast powerful speakers. They are compatible with most popular streaming services, so you'll be jamming out in no time. Never let the front door leave your sight with this Nest Hello bundle. See who's knocking by streaming video to the 7-inch touchscreen of the Google Home Hub. The Google Assistant makes it possible to operate the video doorbell hands free. Despite it's small stature, the Nest Hello delivers impressive features. The camera records highly detailed video that you can watch live at any time in the app. The 160° field of view leaves no places for visitors to hide and two-way communication lets you communicate freely with anyone standing near the doorbell. The Google and Nest ecosystems are built to work together. You'll be able to seamlessly integrate devices like the Nest Learning Thermostat or other Nest Cams into your smart home network anytime. While the smart speakers can be set up in a matter of minutes, you'll need some knowledge of wires to install the Nest Hello. These devices use cutting edge technology and high quality sensors for superb performance. 24/7 live stream, two-way communication, night vision, music streaming, voice control, and more. Controlling the Nest Hello using your voice works flawlessly. The products are well designed and add a subtle modern touch to your home. A great choice for anyone who wants a smarter, safer home. 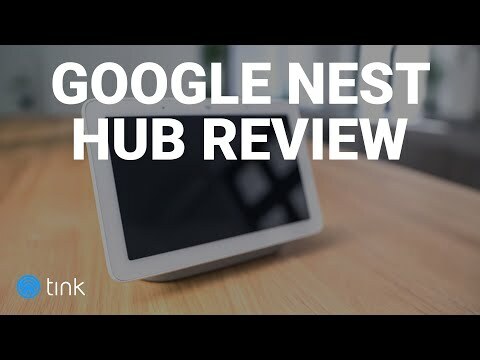 Does the Google Home Hub continuously record what I'm saying? No, the Google Home Hub only records what you say when you use the wake word "Hey Google". No, the Google Home Hub is mains powered and needs to be plugged in to function. Will I need to purchase a Nest Aware subscription in order to use the Nest Hello? No, you won't need to purchase a Nest Aware subscription to use the Nest Hello. However, the functionality of the Nest Hello significantly increases with a subscription.